Don't get it twisted, I have not listened to every Christmas album released in 2018. Not even close. (Is that even possible? Who has that kind of time let alone desire?) By my informal count, I've auditioned all of 23 or 24 Holiday albums this season in a few marathon sessions, nearly all of which were held in the environs of the back porch of The Hideaway, with the moon and stars above reflecting on the serene waters of the swimming pool below. 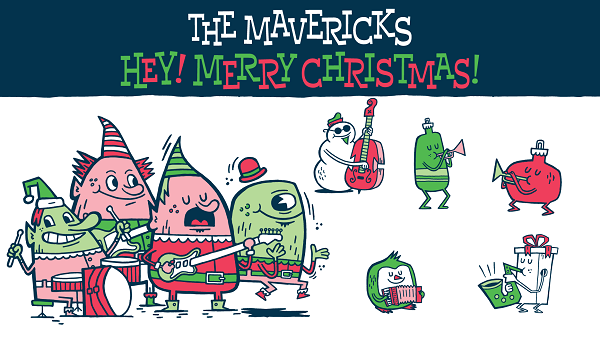 As is our standard policy, we only share our favorites here on the blog and today's favorite is from The Mavericks. A few years back, we shone the spotlight on Raúl Malo's Marshmallow World & Other Holiday Favorites, originally released in 2007. 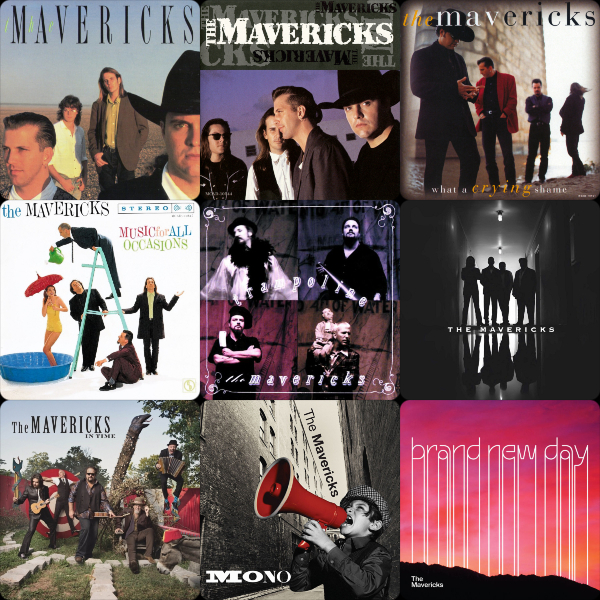 An integral part of the eclectic sound of The Mavericks is Malo's "warm, honeyed voice" but after a decade and five other Raúl Malo solo albums, he and his former bandmates got back together in 2012. 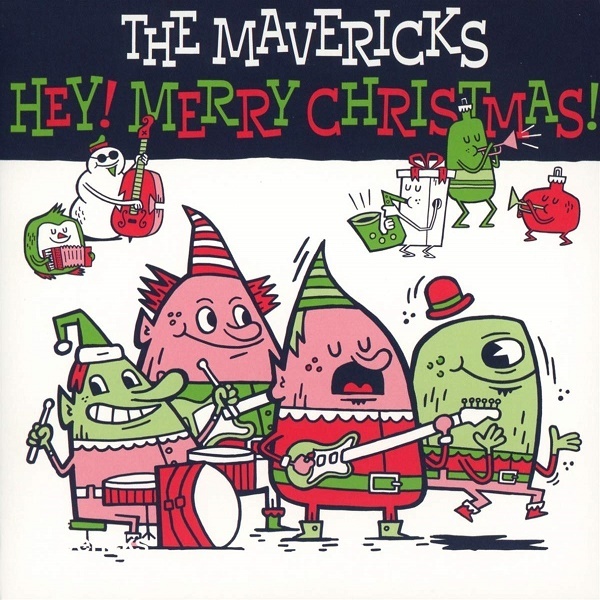 The Mavericks were back, sounding better than ever and three studio albums into their reformation, the group released a Christmas album of their own — Hey! Merry Christmas! — this year. 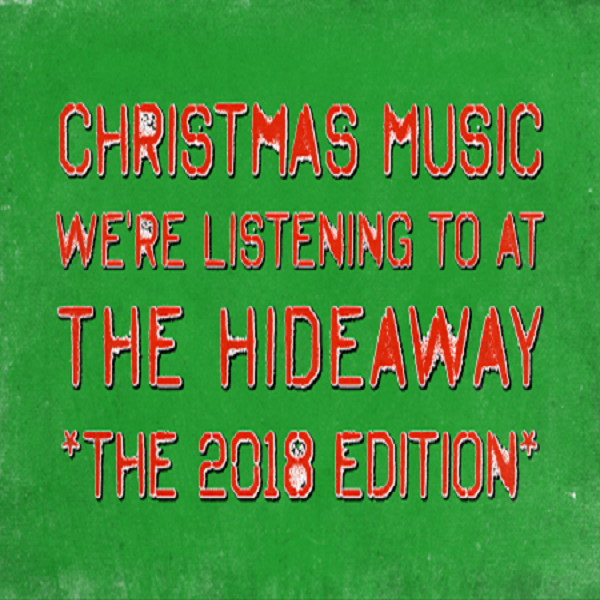 The disc features nine originals plus the group's take on one of our favorite Holiday tunes "Christmas (Baby Please Come Home)", all in a smidge over 31 minutes. It is mostly a family-friendly affair though halfway into the half-hour, things take on a somewhat adult theme with Malo's slinky and suggestive "Santa Wants To Take You For A Ride" which may or may not be your cup of nog. PRO TIP: Shuffle the ten songs on Hey! Merry Christmas! 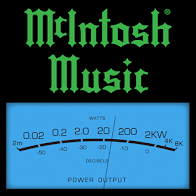 with the eleven tracks from Marshmallow World to get about 65 minutes worth of Christmas ear candy.